Many little factors including social media presence, citations, content that lacks length, and infrequent internal links determine your website’s ranking ability. Most of these factors are taken care of in other places than your actual website, but this guide is focused on reasons for poor rankings that deal directly with your website in ways that you can fix immediately. We’ve compiled this troubleshooting guide to help business owners take control of their website for themselves and improve rankings without hiring outside help. This is the biggest reason that a site won’t be ranking very high for your products or services in search engine results. It’s called Search Engine Optimization for a reason! SEO requires frequent updates to your site and continual research to determine the best ranking factors that you can strive for to attract higher rankings for your website. TAKEAWAY: Make sure your site titles and meta descriptions are up to par and then improve upon existing content with quality, keyword-rich descriptions of services and products to interest and engage your site traffic. Keeping your site relevant and unique has the power to interest viewers as well as search engines. Continue posting to your website so that the search engines have new information to crawl and another reason to index your site, and eventually you’ll gain their trust and achieve a better search engine presence. TAKEAWAY: Don’t copy content from other sites. Google will flag you fast, and it’s hard to gain the search engine’s trust again once that happens! Modify the interesting content that you’d like to emulate and write in your own voice what you’d like your customers to know. Sometimes your competition just has more advertising dollars than you. Or they’ve been around longer than you, or they have a stronger following than you do. There isn’t really anything that you can do about their advantages other than to make your own site and brand stand out even further from those of your competitors. While this may be seen as a pitfall when it comes to your online presence, you can use this opportunity to capitalize on some aspect of online marketing in which your competitor is lacking. TAKEAWAY: Research your competition and see if you can dominate other platforms besides search engines, like local listing, social media, or the community. You may not realize it, but visitors might be leaving your site just as quickly as they arrive, and search engines will take notice. You definitely benefit from extra site visits, but you’ll benefit even more from site visits that convert into customers or a filled-out contact form. Spend some time researching the current web design trends and deck out your website with some cool new features. TAKEAWAY: Sign up for Google Analytics to see an analysis of which pages visitors are landing on and how long they stay there. You can see a Bounce Rate that will help you understand which pages are unappealing or hard to navigate on your website. Google is always changing up its algorithm to ensure that it is delivering the most applicable results to its users. Because of this, there are a lot of “old timer” SEO tricks that have become obsolete and Google tags them as outdated. This should encourage you to place even more emphasis on evaluating the current SEO market and researching how to most effectively optimize your website for search engines. TAKEAWAY: Do a search for your site in quotations, like “kitemedia.co”. If your website doesn’t show up on page one, or at least before page four or five depending on your URL, then you’ve probably been penalized. 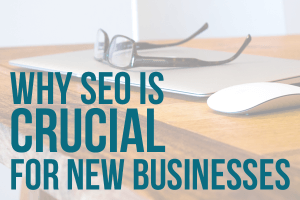 If you’re a new business, or just have a new website, you can try as hard as you can to follow all the rules and rank higher, but you just won’t. Search engines need to learn to trust your site, and that involves time spent on the internet, optimization and updating the content, and earning backlinks from other reputable sites. Keep up with good SEO practices, and soon Google will start ranking your site with other sites that have been around for years! TAKEAWAY: Encourage those you network with to place a link to your site on their own. Team up with friends or those in complementary industries to highlight your website for their followers. You’ll gain a quality link to your site and maybe some new site traffic! We hope this tips will help you in your troubleshooting evaluation of why your site isn’t ranking. We’re sure you’ll see results soon after implementing these recommendations!